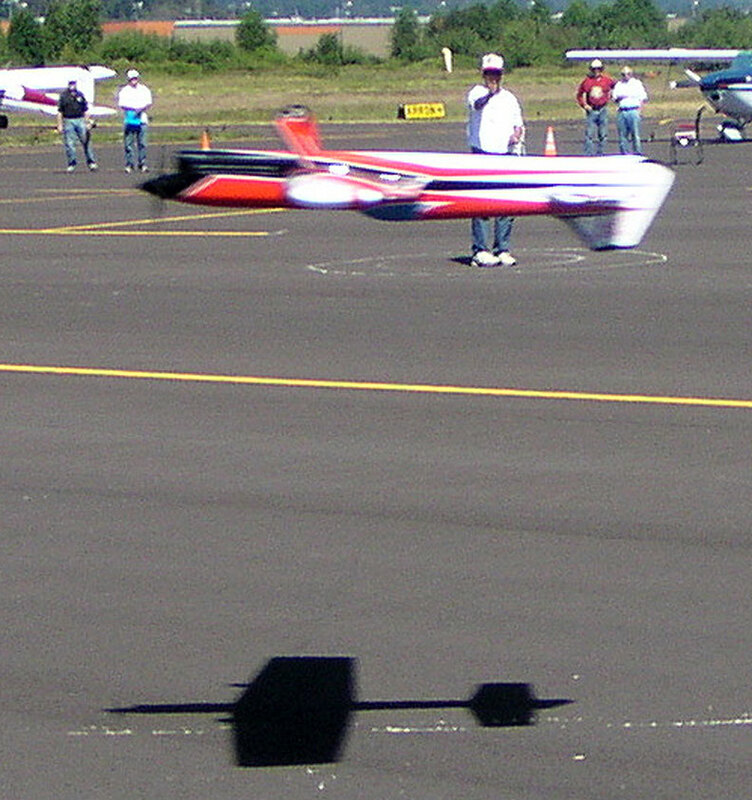 Precision aerobatics planes are lined up and ready to fly on Sunday of the 2015 Stunt-a-Thon. 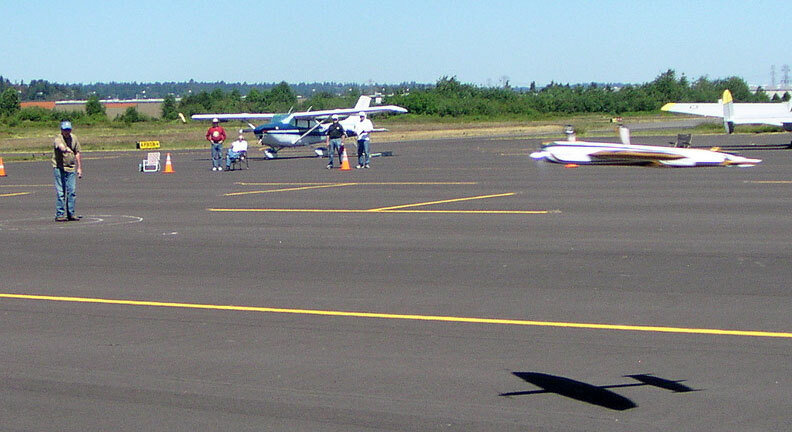 The Auburn Airport site was a new venue for this traditional June contest. All photos by Rex Abbott. 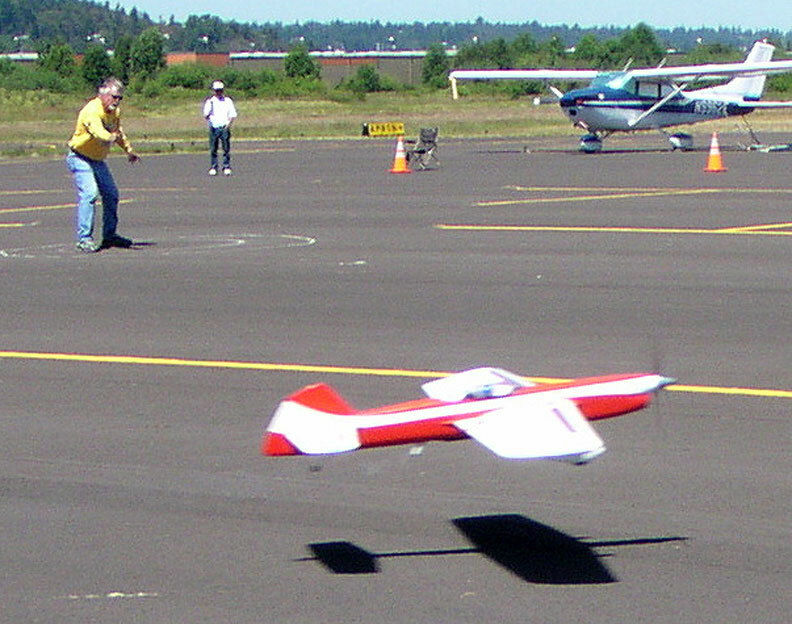 June 13-14, 2015, Auburn Municipal Airport, Auburn, Wash. Results provided by Contest Director Steve Helmick. 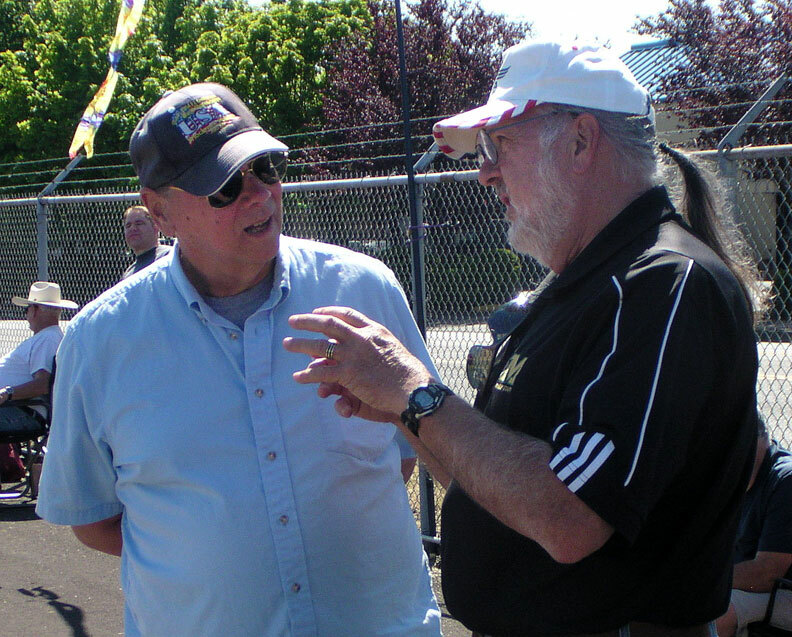 Serious stunt discussion between Dave Royer (left) and Bruce Hunt. 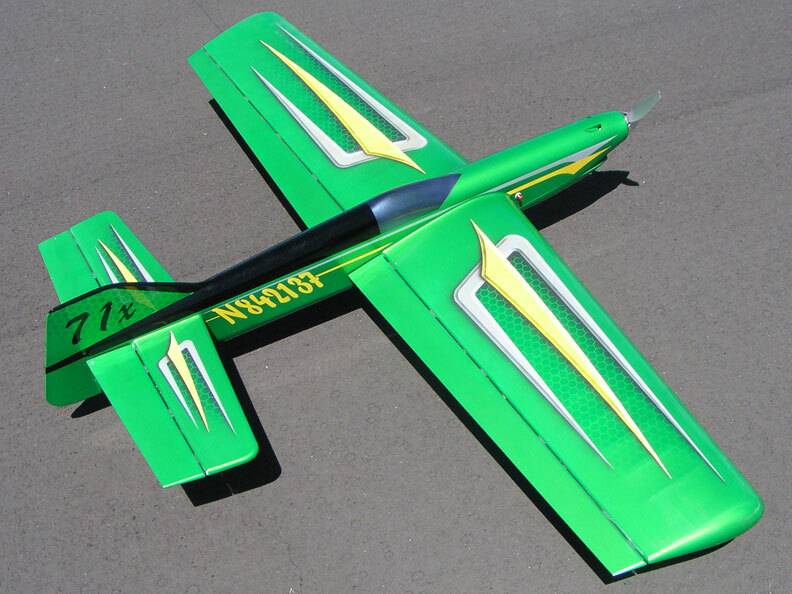 Paul Walker, designer of the Predator, puts in winning flight in Expert Precision Aerobatics. 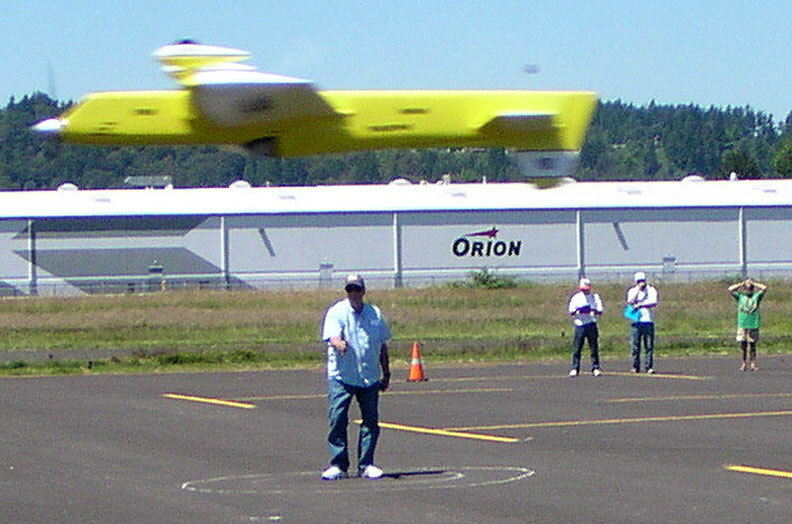 Dave Royer flies his Magnum. 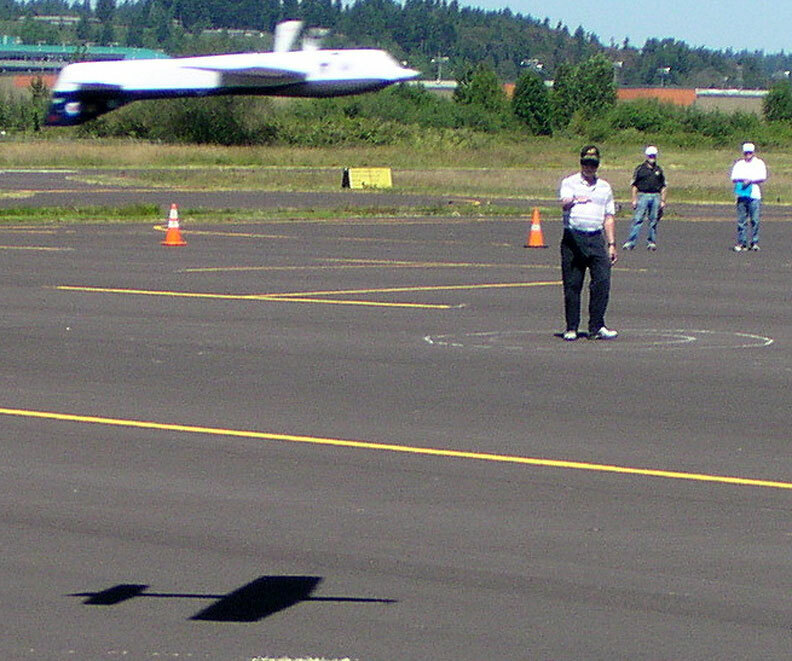 Steve Helmick's Eagle takes off. 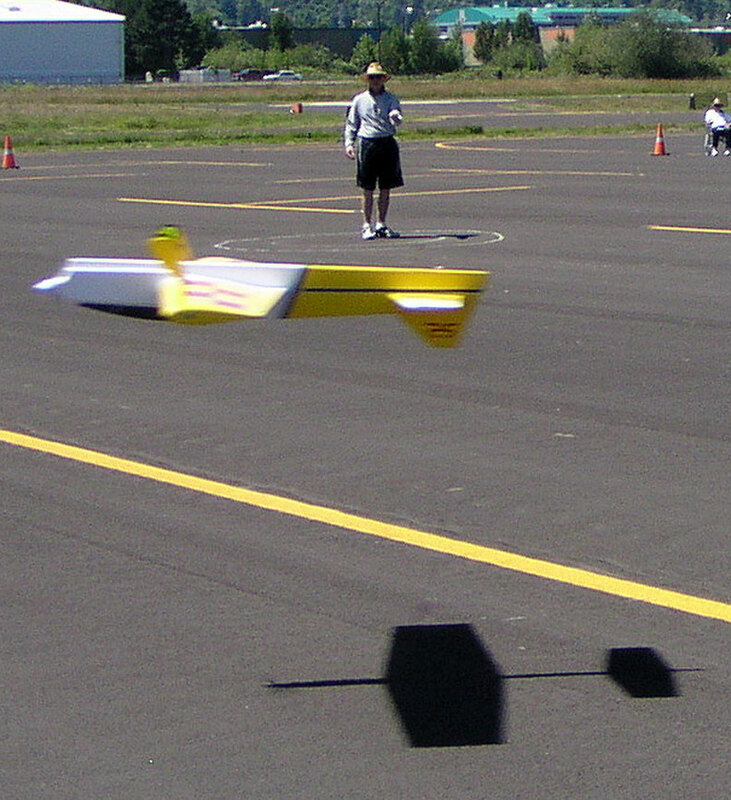 Fred Underwood's Similar Too makes an inverted pass.